I posted this picture originally in February 2009, so I'm guessing most of you haven't seen it. I can see why it's a fave. NM sunsets are out of this world. 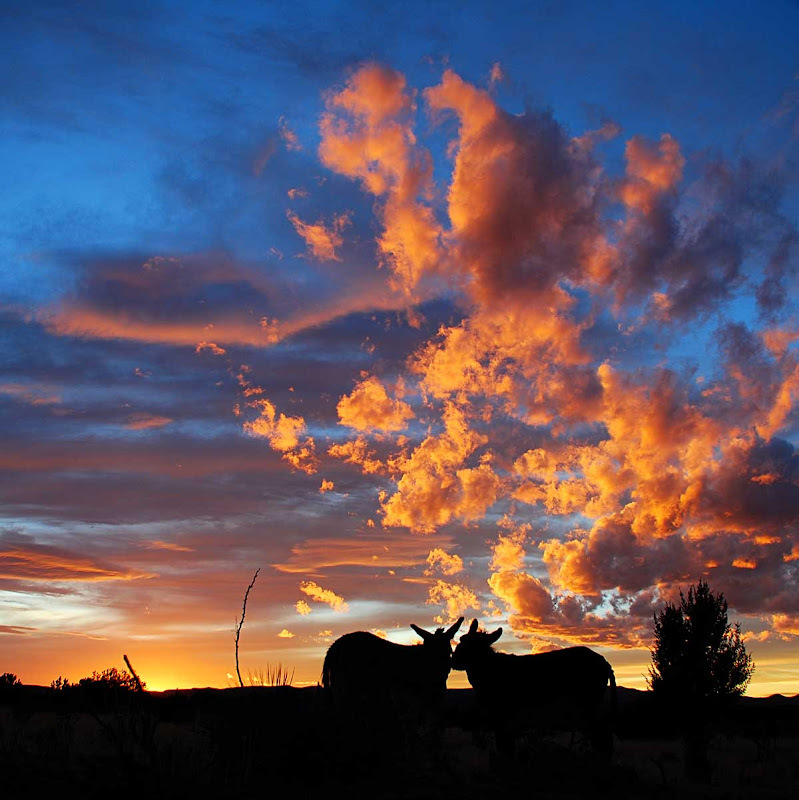 The beyond beautiful sky and the nuzzling donks make this a perfect picture. Just wonderful. Absolutely gorgeous! You should frame that one and hang it on the wall at your house! WoW.....Thanks again for sharing you're amazing little corner of the world with us! well that is something special. Beauuuuuuuuuuuuutiful!! Love the silhouettes, too! !